Sadly, the Market Street incident was not the first Muni-related death this year. On May 12, a 12-year-old boy was hit by a Muni light rail vehicle as he darted across a crosswalk at the corner of Lakeview and San Jose Avenues. Neighbors told ABC7 that the intersection has seen many close calls, calling it dangerous and asking for traffic control devices to regulate both private and Muni vehicles. 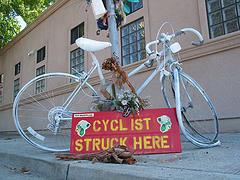 There has also been a history of fatal accidents involving Muni vehicles and bicycle riders. Next week marks the two-year anniversary of the death of a bicyclist in the SoMa neighborhood on October 18, 2013. According to CBS, a Muni bus turning onto Bryant Street struck and killed a male rider. In 2011, as reported by The San Francisco Chronicle, paid $5.4 million to the representatives of a man who suffered extensive injuries after being struck by a Muni bus on the Great Highway in November 2008. The suit alleged that the bus made a left turn without signaling and without stopping at a stop sign. Muni is a government agency and a common carrier, a legal category that includes any entity that transports people or property for a fee, two factors that make lawsuits against Muni a bit different from typical injury and/or wrongful death claims. As noted on the California Courts website, claims against any government agency must be filed directly with the agency within six months of the incident. If the claim is denied, the prospective plaintiff then has another six months to file a lawsuit. As a common carrier, Muni has an elevated duty to protect its passengers, described in Civil Jury Instruction 902 as an obligation to “use the highest care and the vigilance of a very cautious person…[and] do all that human care, vigilance, and foresight reasonably can do under the circumstances to avoid harm to passengers [or property].” Importantly, this duty only applies to passengers and does not extend to pedestrians, cyclists, or others who might be injured by a Muni vehicle. If you were injured or lost a family member and believe Muni is to blame, call our office or use our online contact form to reach our San Francisco Muni accident attorney. A consultation is always free and most cases are handled on a contingency fee basis so you only pay us if you recover money.